Easter Sunday fun! Come along for some Egg-Squisite activities!! Easter Sunday has come around so quickly this year! 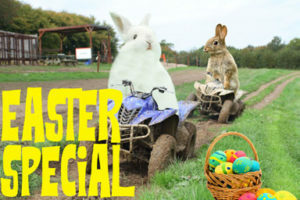 In the Southern Pursuits office it’s all about AMAZING pictures of bunnies on our Quad Biking safari trail. What type of Chocolate eggs we’re going to get. Also, how hopefully the Spring bank holiday weekend will be bright and sunny for us all! 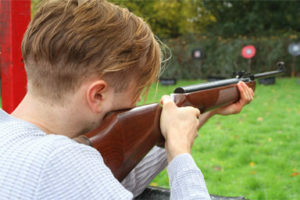 Air Rifles: Got what it takes to hit that target?! We love our Air Rifle Shooting activity at Southern Pursuits. You need a keen eye, concentration and great aim to succeed on this outdoor pursuit. When you do hit that target though you get a great sense of achievement! Our Air Rifles are called the Weihrauch HW95k .22 Air Rifle. They have all the power and accuracy you would need at our activity centre! They are designed for full powered action and the slimline hardwood stock ensures that each shot hits the target exactly where you want it! Office Summer Party time at Southern Pursuits! Looking to spice up your summer corporate event this year and do something faster paced? We’ve got you covered with our adventure experiences! 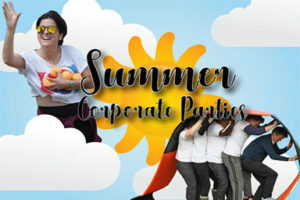 Corporate events and fun days out are a wonderful way to bring your team together and show recognition for their hard work. At Southern Pursuits we can guarantee that we can host an adrenaline filled event which will definitely be a crowd pleaser and an exciting talking point for the office! 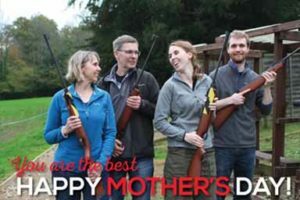 Adventurous Mothers Day gift ideas for family days out! The daffodils are out and Spring is right around the corner and with that of course Mothers Day! Sunday 31st March is Mothering Sunday and the official day to spoil your mum! You have to shower her with gifts, love and generally prove what a good child you are! Pick up astronomical speeds in our Off Road Karts like Captian Marvel! 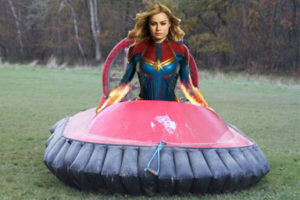 Who else was excited for the new release of Captain Marvel? We definitely were at Southern Pursuits, so why not join us today to celebrate the epic Marvel movie?! Do you and your friends think you have what it takes to defend Earth? Well, why not put yourselves to the test by mastering the skills of Captain Marvel/ Carol Danver at Southern Pursuits! Dual Activity Packages available every Saturday, all Summer long! Woohoo – It’s finally Spring and we love the longer days and hot weather to accompany our adventure experiences! During the spring and summer months, we operate a 2-activity minimum booking policy on a Saturday. This is due to it being our busiest time and most popular day of the week! By doing this we can fit other groups in and be more flexible with times available. 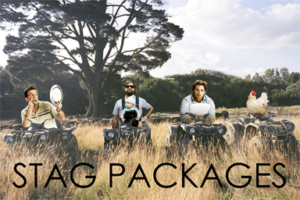 Alright Lads, now is the time to prepare for your stag do! And let’s face it our activity adventure packages are not for the faint hearted! We can understand that a Stag Do is the most important time of a man’s life, celebrating his last days of being a free man. You’ve all got to put your heads together and make it a day/ night to remember (or maybe not remember?). That’s why at Southern Pursuits we have the perfect adventure experience! 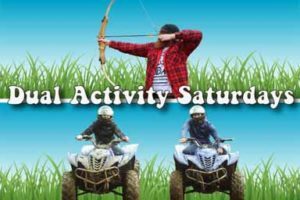 It will guarantee a jam-packed testosterone filled multi activity day/weekend! 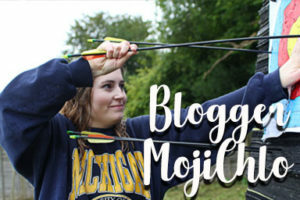 Brilliant Blogger Chloe reviews our Quad Bikes and Archery! At Southern Pursuits we have really upped our Social Media in the last year or so! 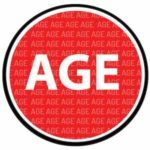 We are posting more and more frequently on all platforms including Facebook, Instagram and our Twitter page! If you haven’t followed us yet, what are you waiting for! Not only are we posting all the latest and greatest special offers but amazing customers photos and all the Southern Pursuits news! Meet the Southern Pursuits Office Manager – Jessica! Jessica is our fearless Office leader! Having worked here for ages there isn’t much Jess doesn’t know about Southern Pursuits and our fantastic outdoor activities and fun days out! 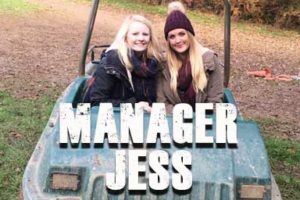 From booking in customers, to organising action-packed stag dos, working on the website and sorting out staff rotas – Jess is a woman with great multi-tasking skills! As our most senior event co-ordinator, Jess also may have booked in your events! Meet the voice behind the phone with this fun Q&A we did with Jess…. 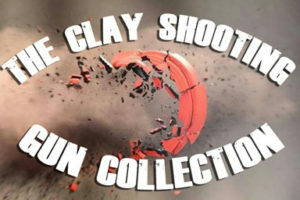 BRAND NEW Clay Shooting Gun Collection Package! Clay Pigeon Shooting has always been a popular choice at our activity centre but we have now turned it up a notch! For the more discerning shot, why not try our brand new experience of Clay Pigeon Shooting using a variety of different gauges of shotgun – The Clay Shooting Gun Collection.